How to check ignition coil on the "Prior"
Sedan Lada Granta is built on the platform of the previous model VAZ Lada Kalina. Overall dimensions of vehicle are: length – 4260 mm, width – 1700 mm, height – 1500 mm, ground Clearance – 170 mm. During Assembly of the vehicle involved more than four hundred original components that made the car different from any other model. However, the appearance of the car a little, who is a delight, but this is not surprising, because Lada Granta was originally conceived as a budget sedan, which will replace the classic 2107. To reduce the model had to save on the design. Lada Grant is intended to become a working horse, so it is prudent endowed with large Luggage compartment volume of 480 liters which can be further increased by folding the rear seats. The model is equipped with electric power steering. 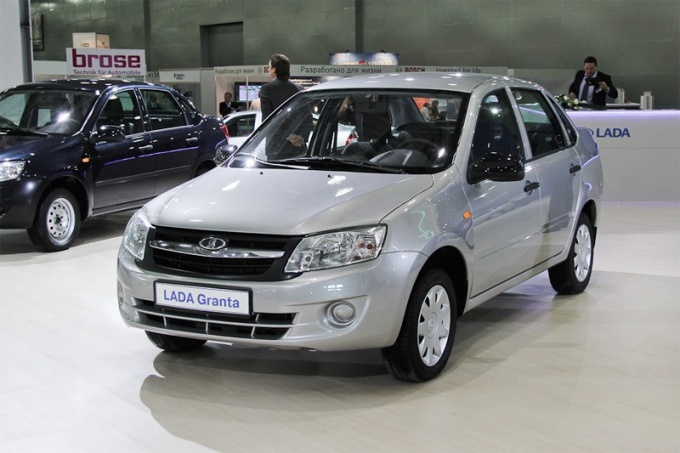 On sale Lada Granta comes in four different trim levels: normal, standard, sport and luxury. Depending on your vehicle fitment have different engine modifications, different features and even appearance. So, in the configuration Suite provides additional fog lights. The main advantage of the Lada Granta low in comparison with other models price, available to a wide range of buyers. So, in 2013 to buy the car can be had at a price of 279 thousand rubles. Car maintenance does not require large investments, any spare parts are always available. About Lada Granta reviews, mostly positive, as a fairly powerful 1.6-liter engine consumes 7-8 liters of gasoline per 100 km. Also, many consumers like the fact that the Lada Granta, as well as other cars of AVTOVAZ, may be subjected to tuning. Moreover, the tuning can be both external and internal. So, fans who choose the sport package with a 120-horsepower engine, can increase its capacity to 210 HP by installing a turbine. Not to mention that the dignity of the Lada Granta – is the presence in the body of a large number of galvanized parts and special anti-corrosion treatment that, according to the manufacturer, provides reliable protection against corrosion for up to six years. Among the disadvantages of budget sedans have a large backlash of the steering wheel, the door handles are of poor quality, lack of sensor, engine coolant temperature, insufficient light reverse. Also many motorists who bought new Grant, complaining about the noise of the gearbox and bearings of the input shaft.